Okay, so I'm totally late to the game, but I'm jumping in to participate in my second One Room Challenge. If you're not familiar with the One Room Challenge its a bi-annual event where interior designers, bloggers and design enthusiasts participate in transforming a space of their choice. Each week for 6 weeks participants will share the progress on their blogs. There are twenty featured designers and several hundred guest participants. 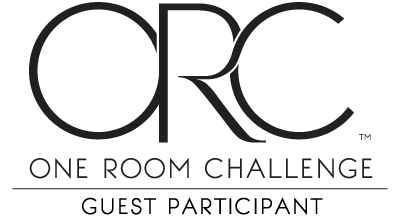 Be sure to head over to the One Room Challenge page to see what some of the others are up to. If you are new to my blog, I’m so happy you've stopped by! I’m Renee Yee, an interior designer in San Antonio, TX. I specialize in residential design that is stylish, timeless and livable. This is my second One Room Challenge as a guest participant. 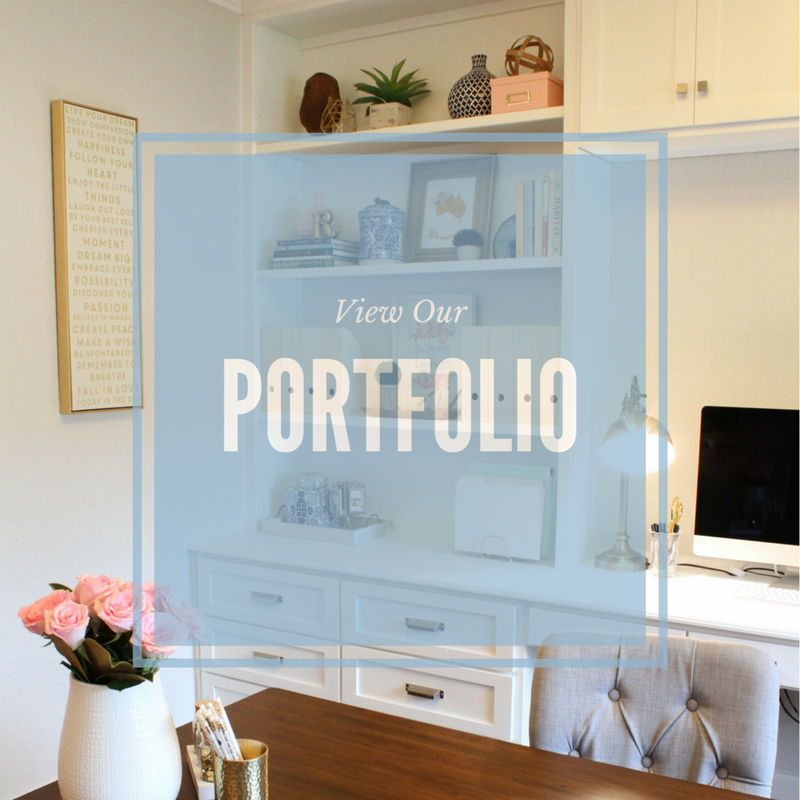 I participated back in the fall of 2016 with my home office, let's take a quick look at the final reveal for that space. I wish it was that neat and tidy right now, but I disgress. With this spring edition of the One Room Challenge I will be working on my daughters room. She has been waiting, not so patiently, for the past 2 years to have her room done and with her twelfth birthday fast approaching, it’s time to infuse a little style into her space. As an interior designer it's a bit embarrassing to post these before pics on the internet. Just like the cobblers children have no shoes, my girl has a bland and boring bedroom. But that's about to change. Here's what we're starting with! From this you'd think pink was her favorite color, nope! Did I mention that my daughter is messy? Partly why I've been reluctant to do anything in here. As you can see this space definitely needs an infusion of color and style! We've been talking about this makeover for a while so we have some ideas in mind, but the majority of the decisions still need to be made. My girl has a strong opinion on what she wants and likes, so we'll be working together to create a space she loves. Come back next week to see the direction we're headed.